"With kids at home you do have to keep an assortment of shapes and sizes of band aid at home. More often than not, I use it for the placebo effect; a strip plaster round the superficial cut on the finger works better than any medicine, cuddling or kisses. The Long and Short Plaster does away with the need of stocking up assorted sizes and works like a tape dispenser. 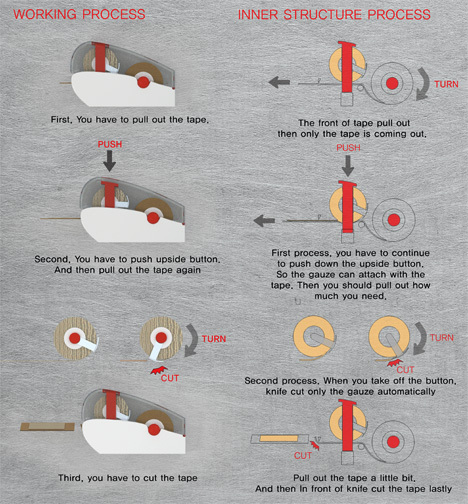 Cut out the right size and use it."